The first professional card of 1968 presented by Promoter Ed Francis took place on January 3, 1968 at the Civic Auditorium in Honolulu before 4,600 fans. 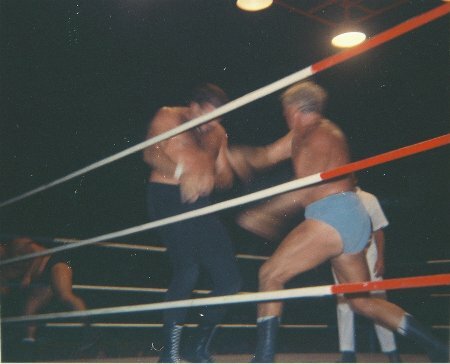 The tag team of Ripper Collins and Dutch Schultz struggled to a draw with Lord Blears and Dean Higuchi, while Angelo Poffo used a neck press to pin Beauregard. Lord Blears delivers a chop to Dutch Schultz. Johnny Barend took two out of three falls from Nick Bockwinkel in the semifinal match. 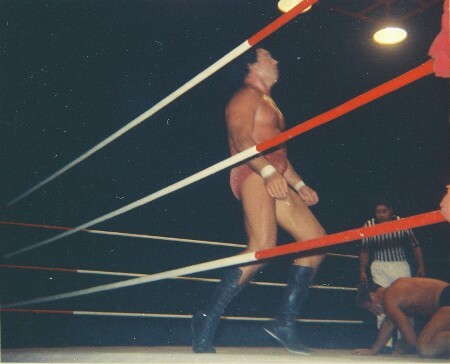 Johnny Barend is stunned by Bockwinkel. 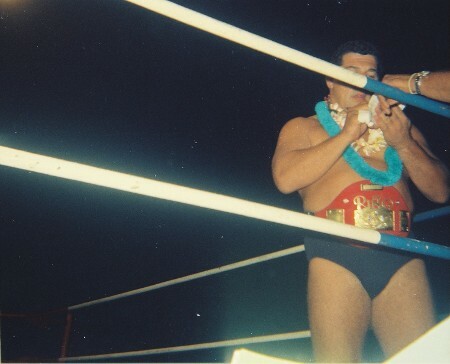 The main event was for the Hawaiian Championship with Jim Hady, the champion, putting his title on the line against Kenji Shibuya. The match was two out of three falls with a 1 hour 1 minute time limit. 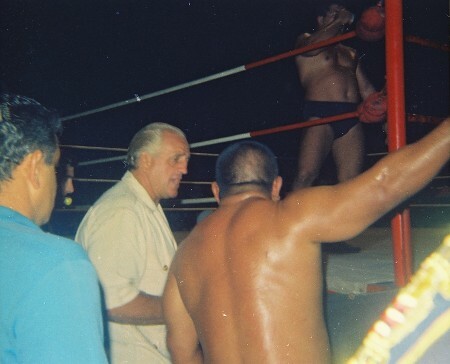 the match was filmed for KGMB's Wrestling From The Civic tv program which aired on Friday nights. 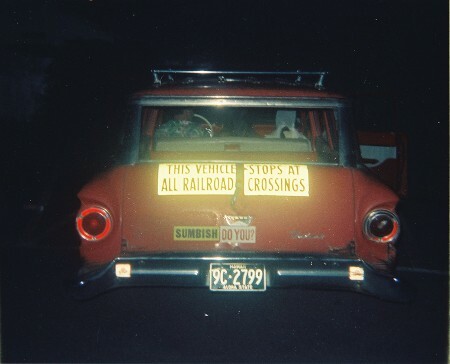 The film would play a role in the outcome of the match. Shibuya took the first fall in 10:20 by applying a submission hold on Hady. The second fall went to Hady when Hady applied a sleeper hold on Shibuya in the time of 7:22. The third and deciding fall had Hady apply another sleeper hold on Shibuya, who managed to break the hold by slamming Hady backwards into the turnbuckle. Hady then fell forward and Shibuya pinned Hady and was awarded the deciding third fall. However, referee Wally Tsutsumi, who was at ringside, entered the ring and informed referee Peter Peterson that Shibuya had his foot on the ropes when he pinned Hady. As a result of this, Peterson's final decision was suspended until the film of the match could be studied to show where Shibuya's foot was. 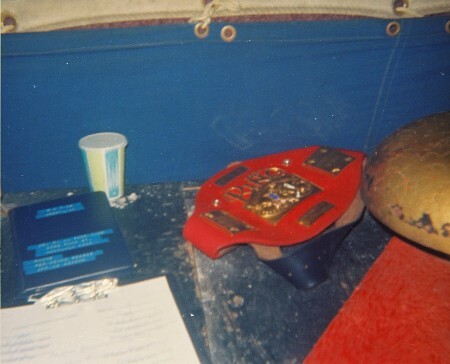 Ring Magazine gold Hawaiian Championship belt. Jim Hady signs autographs for fans before the main event match. Kenji Shibuya complains to announcer Lord Blears.